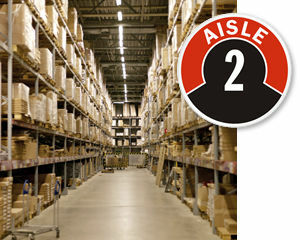 Finding your way in a warehouse is crucial because efficiency rests on organization. 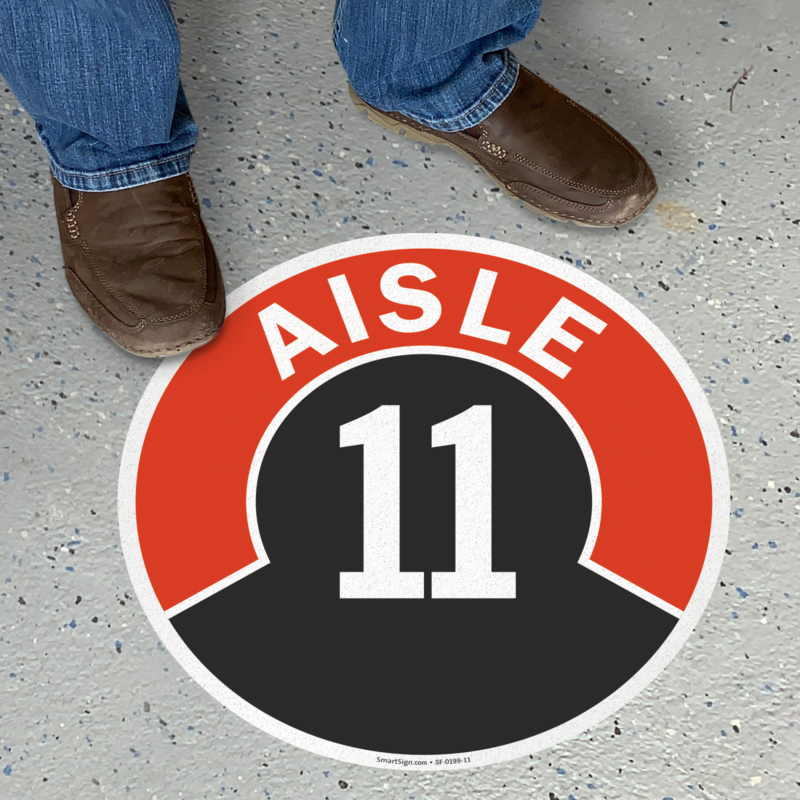 Aisle ID Signs and Labels make it easy to keep track of where items are located and which aisle is which. 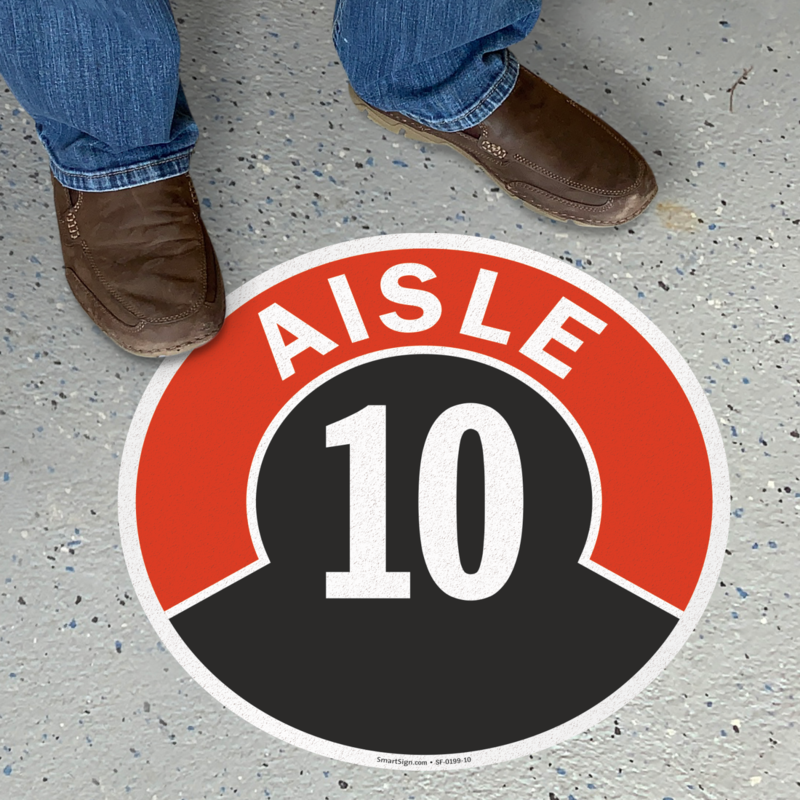 Choose from labels or floor mats for great directions. 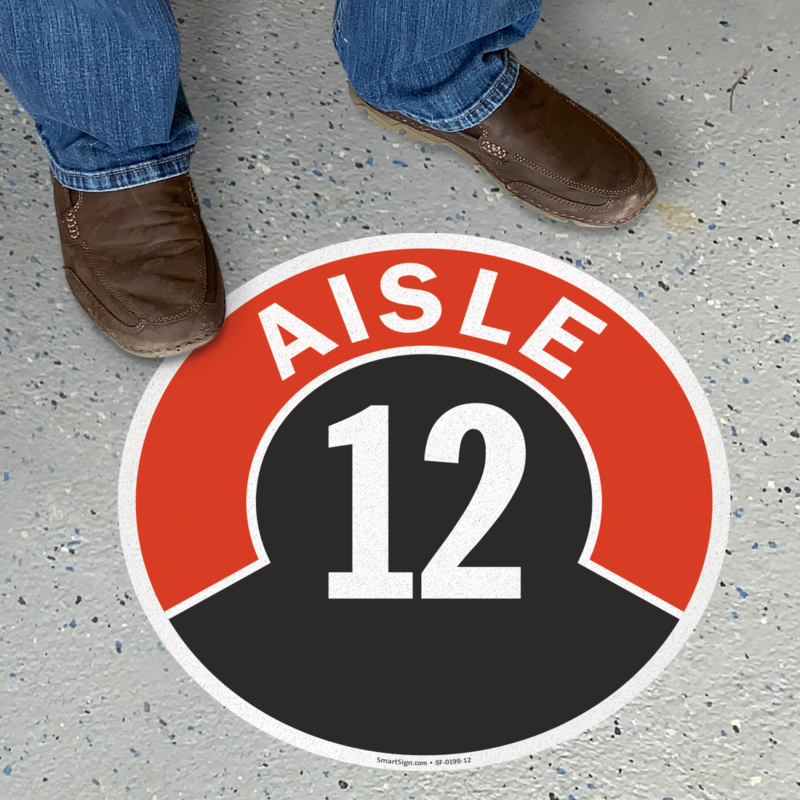 • Floor Signs are made with anti-skid material, so that you never worry while running around your warehouse. 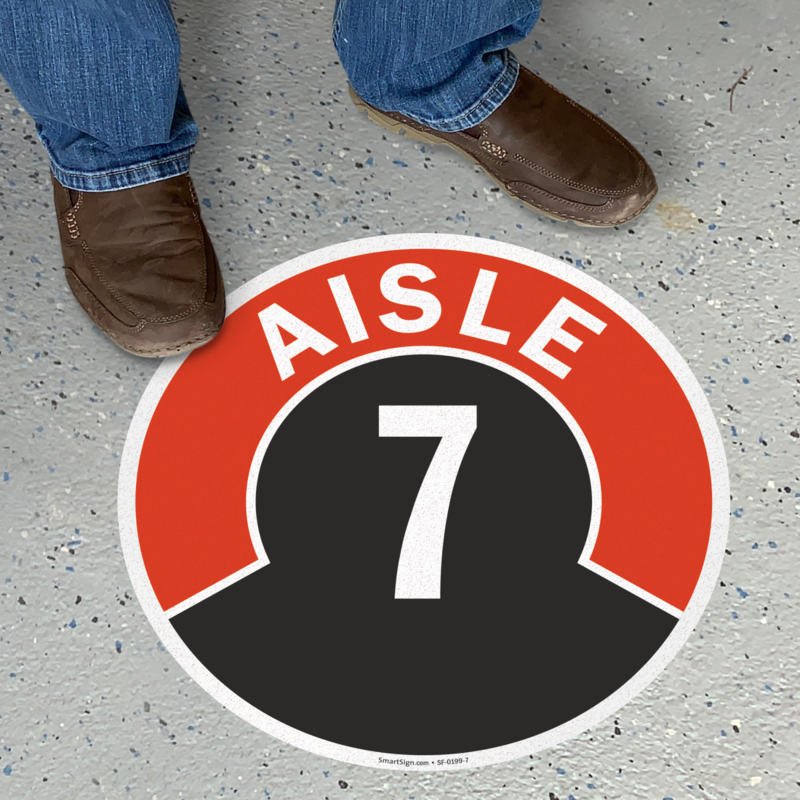 Signs have an adhesive backing for simple installation. 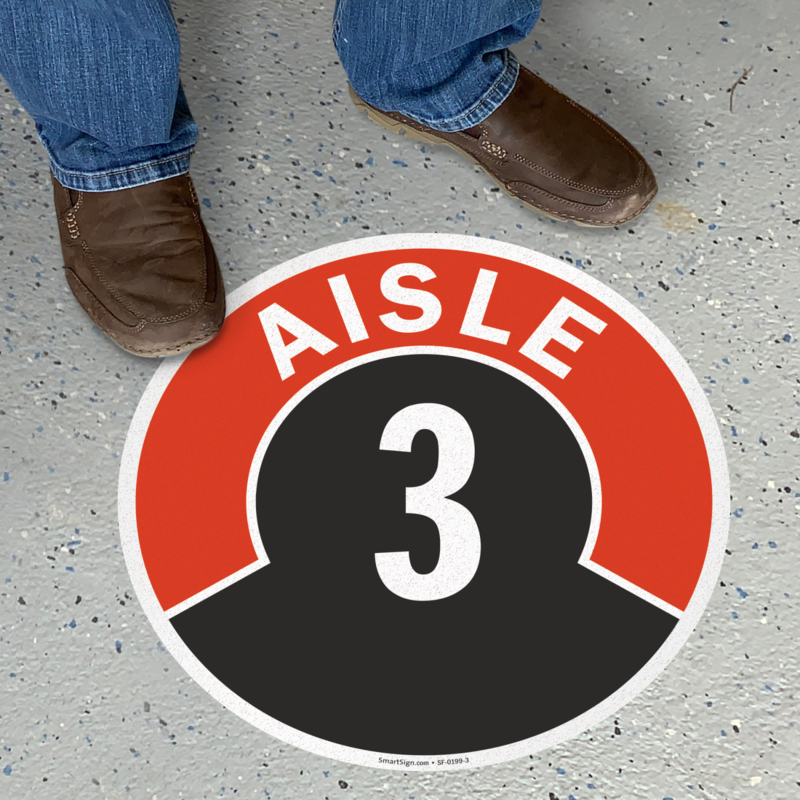 • Laminated Vinyl Labels lie completely flat on the ground and stay put for years. 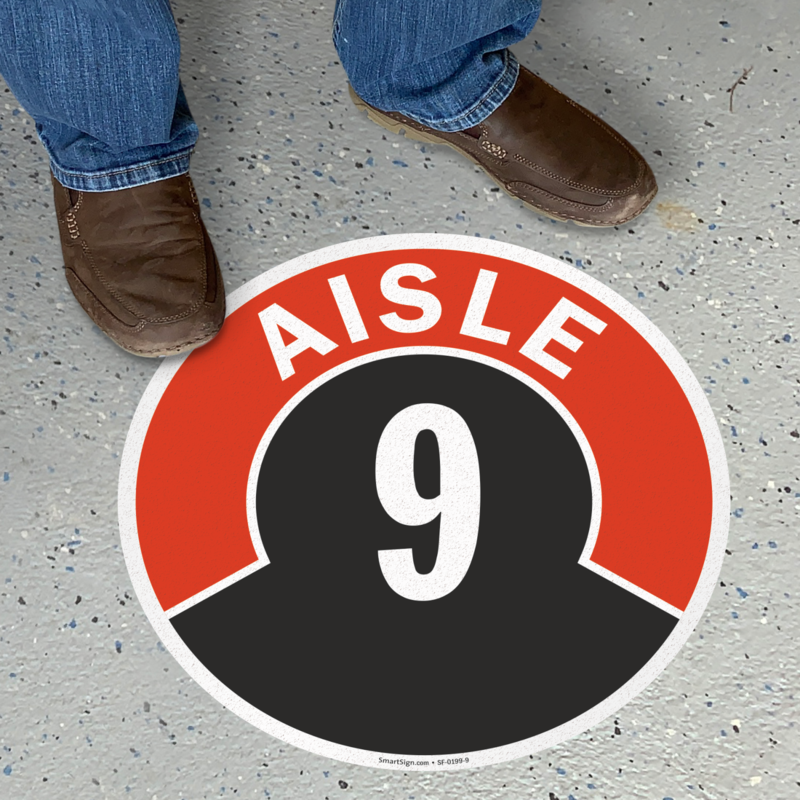 • Scroll over labels and signs for more details. Order one for each aisle! 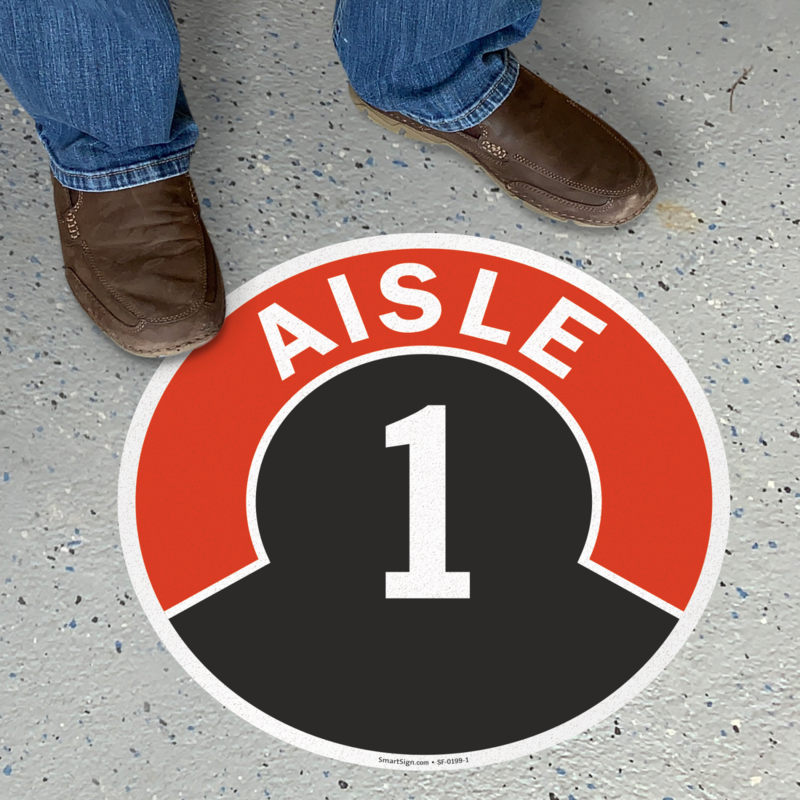 Aisle ID Floor Signs - 9" x 9" to 17" x 17"
Aisle ID Labels - 4" x 4"
great product. just as described. great look.